A man from Morley has been handed a 12 and a half year jail term after admitting playing a key role in a plot to import 90 kilos of MDMA hidden inside a consignment of out-of-date frozen chicken. National Crime Agency investigators were alerted on December 5 2014 after Border Force officers at Killingholme port in North Lincolnshire discovered the powdered drugs, alongside a kilo of class B drug methoxetamine, amongst pallets of frozen chicken that had arrived on a lorry from the Netherlands. The lorry driver was arrested. The load was due to be delivered to a company called CBS Transport in Batley, West Yorkshire. Later that evening NCA officers arrested the owner of CBS, Christopher Byron Still, 68, of Glen Grove, Morley, at his home address. Around £13,000 cash was also seized from the boot of his car. Investigators also executed search warrants at his business premises finding another 10 pallets of frozen chicken at the address in Batley and around 15 kilos of amphetamine, a class B drug, from a separate location in Holbeck. The likely combined potential street value of the MDMA and amphetamine is estimated to be approximately £6.5 million. The chicken, which had a ‘use by’ date of 2010, was impounded by environmental health officers and later destroyed. 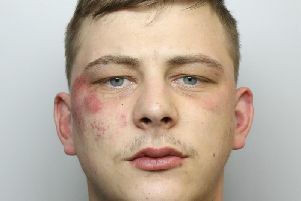 Still was charged and at a hearing at Leeds Crown Court on Tuesday June 2 he pleaded guilty to conspiring to import class A drugs, importing class B drugs and possession with intent to supply class B drugs. He was sentenced to 12 and a half years in prison. National Crime Agency branch commander David Norris said: “Christopher Still used the frozen chicken as a cover to import substantial amounts of illegal drugs. “Our investigations have shown that the same two loads of chicken appear to have made several journeys to and from the Netherlands. It is likely that they also involved drug shipments. The driver of the lorry involved in the December 2014 shipment, a 52-year-old Dutch national, remains on bail pending further enquiries. Mark Robinson, Assistant Director for Border Force Humber Command, said: “We welcome the result at court today which should send a strong message to those attempting to smuggle Class A drugs into the country. “Border Force officers at ports and airports play a crucial role in protecting the UK from illegal drugs and other contraband.